Where do you turn to learn more about healthcare technology vendors? You can ask a colleague, spend time researching vendors via the Internet, or attend a conference to learn more about home care software solutions. The team at KLAS Research found an easier way for healthcare providers to access not only a software vendor, but a way to see how the software and the vendor itself performs based upon actual customer feedback. KLAS, an independent market research firm, focuses solely on the healthcare technology industry. For over a dozen years, KLAS has gathered data and calculated ratings on the performance of healthcare software vendors across the healthcare continuum. The results are based on thousands of interviews conducted with various healthcare organizations. The KLAS rankings measure vendor performance in the areas of product quality, implementation processes, service and support. The top-rated vendors in the most active market categories are then able to earn the Best in KLAS distinction, signifying their leadership in meeting customer expectations. Healthcare providers can follow KLAS on Twitter or on Facebook as well to more provider feedback and commentary. A KLAS Alert, is a faster way for the KLAS team to communicate performance to the market. Many healthcare providers demand real-time analysis of vendors for a multitude of reasons. The KLAS Alert provides the platform for sharing new, critical trends in the healthcare IT market. Each month KLAS scans more than 25,000 surveys collected annually and alerts the market to significant findings. Additionally, KLAS monitors the most requested products so that a healthcare provider can quickly identify if a vendor can meet the business needs of their organization. The homecare market continues to evolve and rapidly change as health care shifts from the hospital to the home. Homecare providers need to speed up patient encounters, while providing good patient care with even better outcomes. 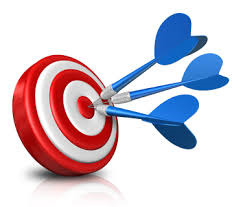 KLAS hits the target to educate homecare providers make a better decision for their homecare business based upon real data, homecare market trends and how to identify which systems will best meet their needs. KLAS assists software vendors too. Most homecare software vendors want to make customers happy and seek information to help them do so. Software solutions providers seek out KLAS reports to see the data points of customer feedback, their rankings and a roadmap to understand customers specific likes and dislikes related to their products and their competitors. Today, homecare providers can submit an evaluation to rate their vendor. In a world of instant information and opinion leaders, KLAS understands that a vehicle is needed to immediately capture a users experience with a vendor or their products. Even if you are not in the market to purchase homecare software, use KLAS Research to learn more about homecare market trends. Now that is a healthy business decision.